Classes / sessions last 55 minutes. In order to formalize the reservation of registration it is necessary to pay in advance 20% of the course, which will be deducted from the total price, and must be paid on the first day of the course. The number of single rooms with private bathroom is limited and subject to availability. In the courses with accommodation a deposit of € 60 is required by credit or debit card, which will be refunded once the keys have been received and the room has been inspected and is in perfect condition. The apartments have everything you need to comfortably enjoy your stay (a / c, heating, kitchen, washing machine, kitchenware, hair dryer). Internet and free WIFI at school. 50% discount on the Lorca Plaza car park. * Courses for absolute beginners will start only on these dates. National Holidays: January 1, January 6, March 30, May 1, August 15, October 12, November 1, December 6, December 8 and 25 December. Local Holidays: March 23, September 8 and November 23. * The courses for absolute beginners will start only on these dates. National Holidays: January 1, January 6, April 20, May 1, August 15, October 12, November 1, December 6, December 8 and 25 December. Local Holidays: April 12, September 8 and November 23. ** Only the courses that begin that day. *** Only the courses that end that day. Classes have a 20 minute break. On holidays an optional excursion is made and payment with prior reservation. The package COURSE ADARVE includes the registration and study material, the theoretical and practical classes, the cultural activities, except for payment, holidays and certificate of the course held. 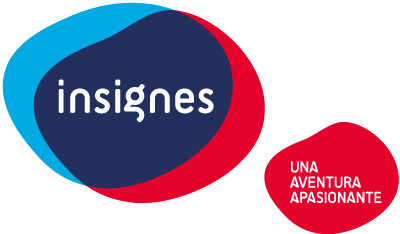 All the payment activities that are not included in the contracted package, can be done, hiring them one week in advance at INSIGNES. On holidays an optional excursion will be made if there is demand. Please note the transfer departure time to and from the airport when you book your flights. The program may be modified for reasons beyond INSIGNES.